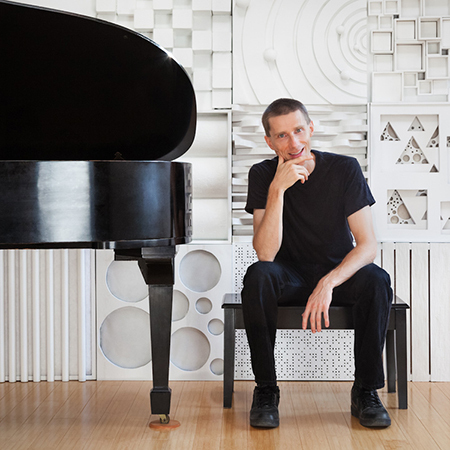 Steinway Artist John Stetch has released 15 CDs, is a 6-time Juno Nominee, and has written over 50 compositions for solo, combo and more recently classical chamber formats. Originally from Edmonton, he has worked at the top clubs of New York City including Mezzrow, Smalls, Smoke and the Jazz Standard, played on many continents, toured Canada a dozen times, and was a member of Rufus Reid’s group for nearly a decade. He taught at Cornell University for several years and was a finalist in the Thelonious Monk Competition twice – once as a composer and once as a performer. Stetch recently relocated to Vancouver, and is especially interested in bringing classical and jazz together, and fusing ethnic and popular music with his personal jazz stamp. He is currently pursuing a Master’s of Music in classical Composition at UBC.